If you do any light manipulation, such as D-Light, this is a great accessory. A light is captured in the magician's hand through the air. After a moment, the magician throws it back into the air, and it magically appears in a glass that he holds in his hand. It is a special glass, which does not involve a thumb tip. The glass measures 20 cm in height and can hold any liquid. 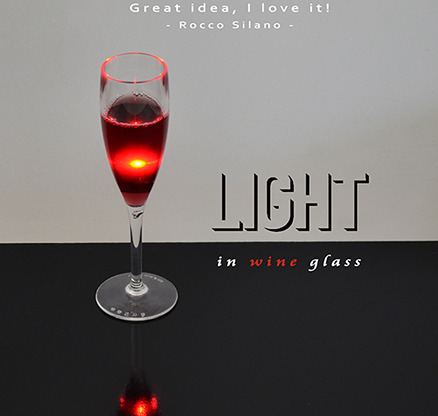 The liquid contained in the glass can also be drunk at the end, with or without the light lit. It is a high-quality plastic glass that looks like real crystal. "Great idea, I love it!"